Here is a painting that I unearthed from my college days, circa 2002. 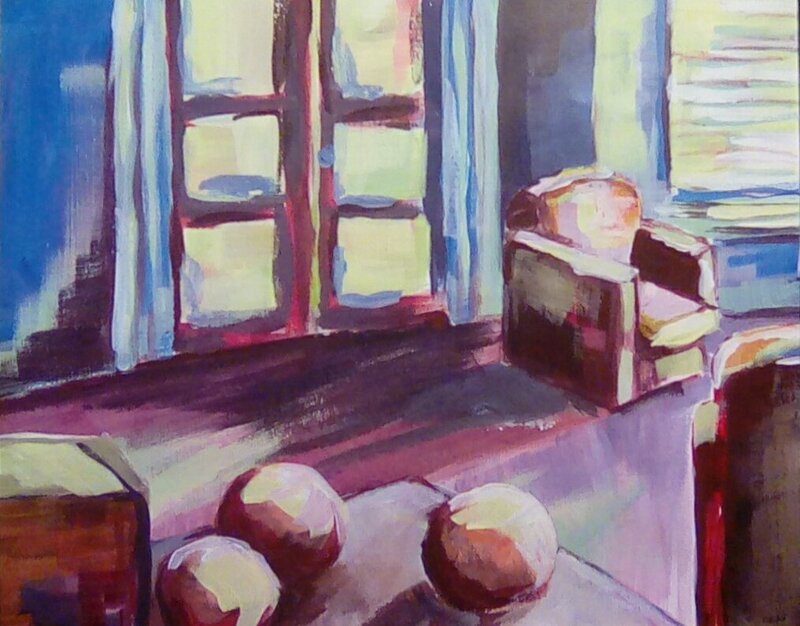 Done in acrylics on a paper called folio, this is my dorm room scene from the vantage point of my desk. I attended Pratt Institute, the first two years being at it’s satellite campus in Utica, NY. The first two years were the best college experience I could have asked for. The professors were amazing, and I even held onto a couple of friendships all this time. I guess that’s what I see when I view this painting. Enjoy!